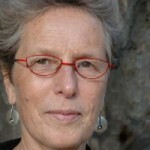 Karen A. Franck received her PhD in Environmental Psychology in 1979. After working on research projects with architect and planner Oscar Newman, she joined the architecture faculty at the New Jersey Institute of Technology (NJIT). Currently a professor there, she directs the PhD Program in Urban Systems sponsored by NJIT and Rutgers-Newark. Her academic appointment has given her the opportunity to explore a variety of research topics related to the design and use of the built environment, resulting primarily in books. She received the 2010 Career Award from the Environmental Design Research Association. Karen’s first book was New Households, New Housing (1989), co-edited with Sherry Ahrentzen. Subsequent works concern the uses and meanings of building and other place types (Ordering Space co-edited with Lynda Schneekloth, 1994) and how designers can be more responsive to the body, the site and the community (Architecture from the Inside Out, with Bianca Lepori, 2007) and to the needs and desires of clients (Design through Dialogue, with Teresa Howard, 2010). Several of these books have been translated into Chinese or Korean. Karen’s interest in people’s appropriation of urban public space led to Loose Space (co-edited with Quentin Stevens, 2007) and to the upcoming Memorials as Spaces of Engagement (also with Quentin Stevens, 2015). Her concern with how designers make decisions continues with Architecture Timed: Designing with Time in Mind (2016), an issue of AD (Architectural Design) she is guest editing.